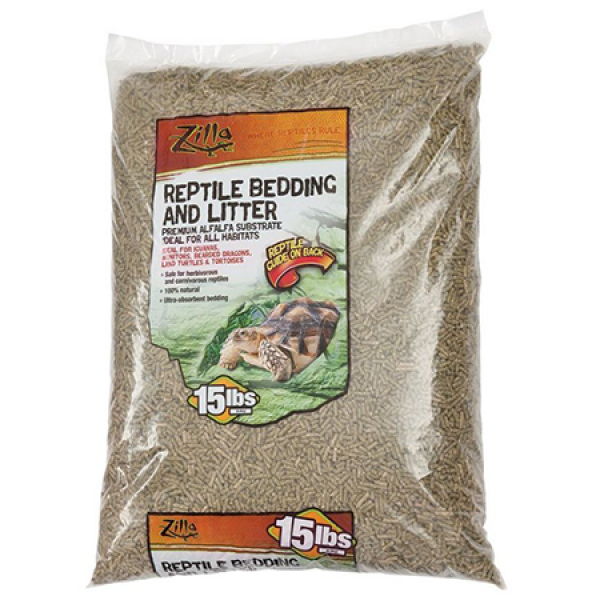 This easily digestible alfalfa substrate creates a safe and healthy environment for your Russian Tortoise. This substrate will also work with any other desert reptile. Thanks to the reptile-safe, bacteriostatic agents in the substrate, you can rest assured that your tortoise will remain healthy as you keep bacteria growth to a minimum. Our site offers the lowest prices on the market. There are even two separate sizes to choose from, perfect for enclosures of all shapes and sizes. Simply choose the right size on the dropdown menu below and we will ship it to you right away! The easily digestible and germ-reducing alfalfa substrate for your Russian Tortoise housing. Your purchase will include the “Russian Care Made Easy” digital video, audio, and text guide, that shows you exactly how to get set up the right way including housing, diet, food, and hibernation. 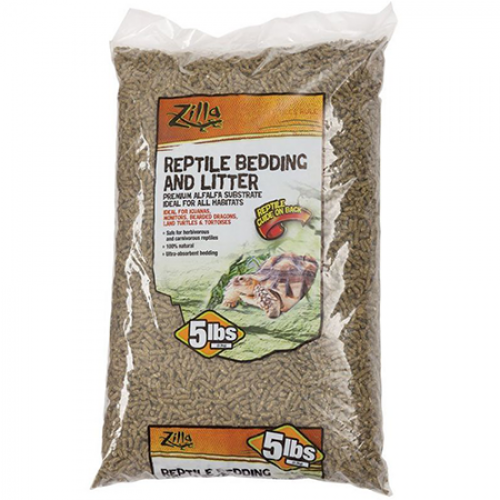 Zilla Alfalfa Substrate Bedding creates a healthy and natural environment for not only your Russian Tortoise, but all kinds of reptiles. With 100% natural, biodegradable materials, it will also make a rich addition to your compost. Zoo Med Aspen Chips comes in 5 and 15-lb sizes. If you order today, we’ll make sure to rush your product and send you a free course with your purchase! Using this substrate for my Russian Tortoise housing! Excellent value. Very easy to clean and I love knowing that it is safe for my little guy. Would highly recommend! It’s so important to keep your tortoise housing clean. Zilla has made that easy with this one-of-a-kind alfalfa substrate. Can’t go wrong with Zilla! Decide to switch up my bedding and the guy at my local reptile shop recommended Alfalfa substrate. Have been using this for a month and my tortoise is thriving.